Love your new blog! Thank you! Love the idea! 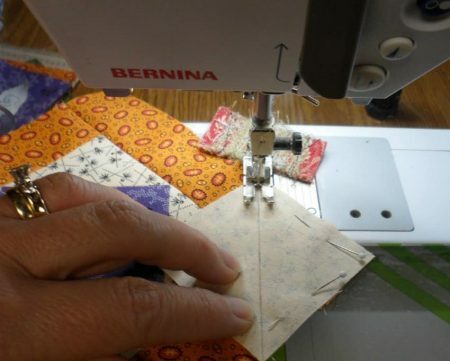 How do you arrive at the size of the square you use in the folded corners? 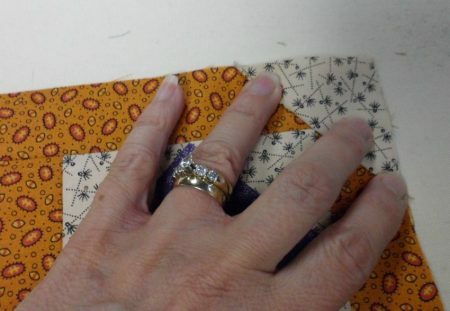 Love to do this in civil war fabric. 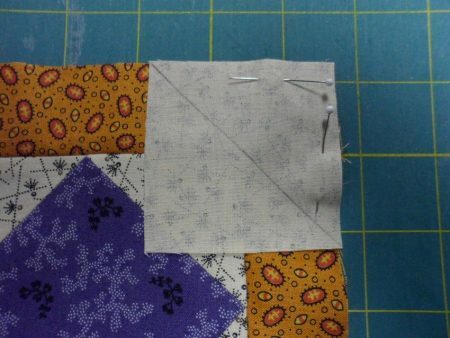 The size of the square to use i the folded corner is determined by how big you want your folded corner in relation to the rest of your block. 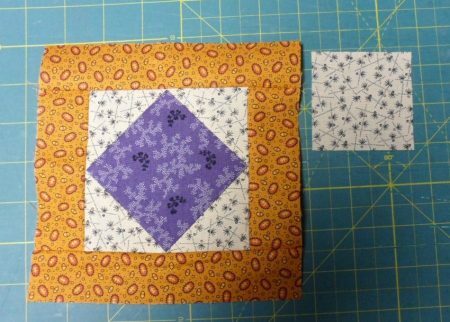 If your block is 6 1/2″ and you only want a small folded corner, you can use a 1 1/2″ square. Thank you! Information was great on how you made the block. 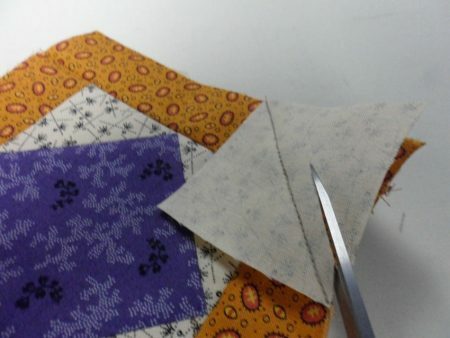 Also wondering how you decide on the size of the square that you use in the folded corners…..
It’s not a set size. Like I said above to Nancy, it’s based on how much of a corner you want. 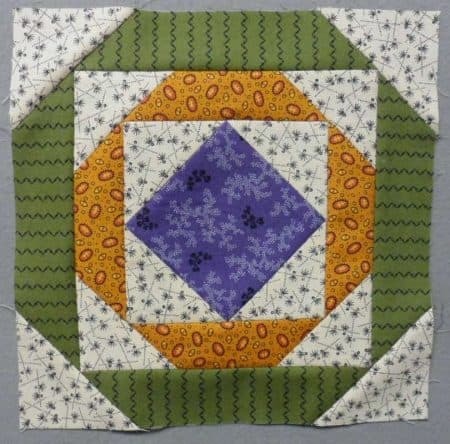 The squares in this example were 2 1/2″. 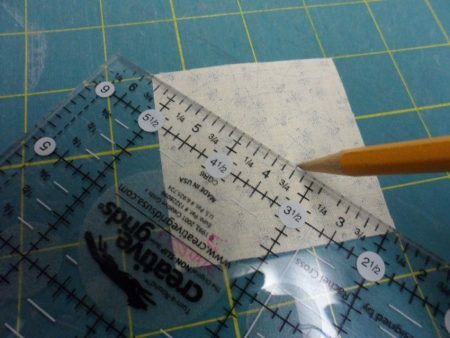 If you wanted a smaller corner, you could use 1 1/2″ squares. 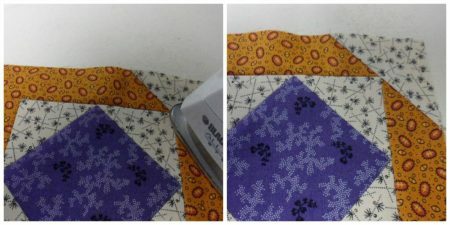 Of course that would change the look of the block.